Back in my pre-vegan days, I learned that you could whip the whites of eggs separately and fold those into waffle batter, even when using cheap off-the-shelf pancake mixes. Instead of just blindly mixing everything together in one bowl, separating the egg white gave the final waffles a nice crunchy exterior and a fluffy interior. 1 Tbsp vinegar (I used apple cider, though any should work). 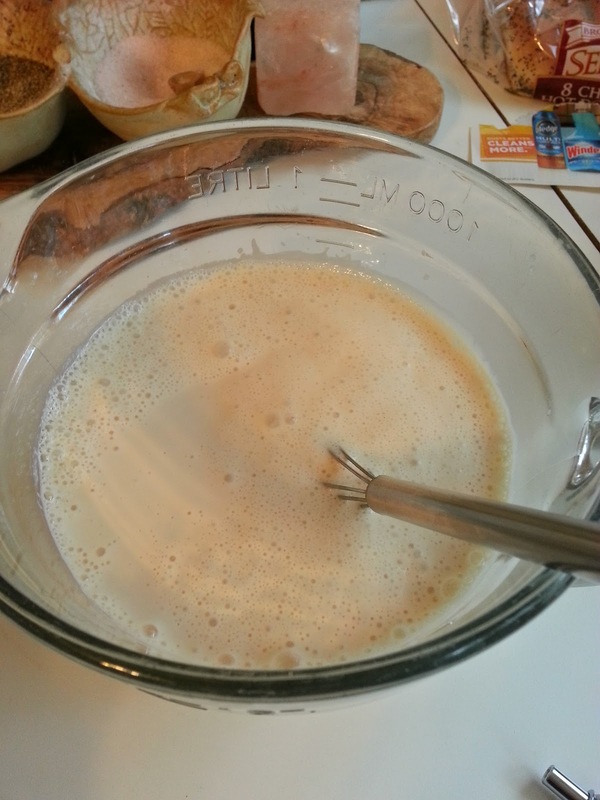 First, whisk the 2.25 cups soy milk and 1 Tbsp vinegar together and set aside. It should immediately thicken up a bit and smell sour. 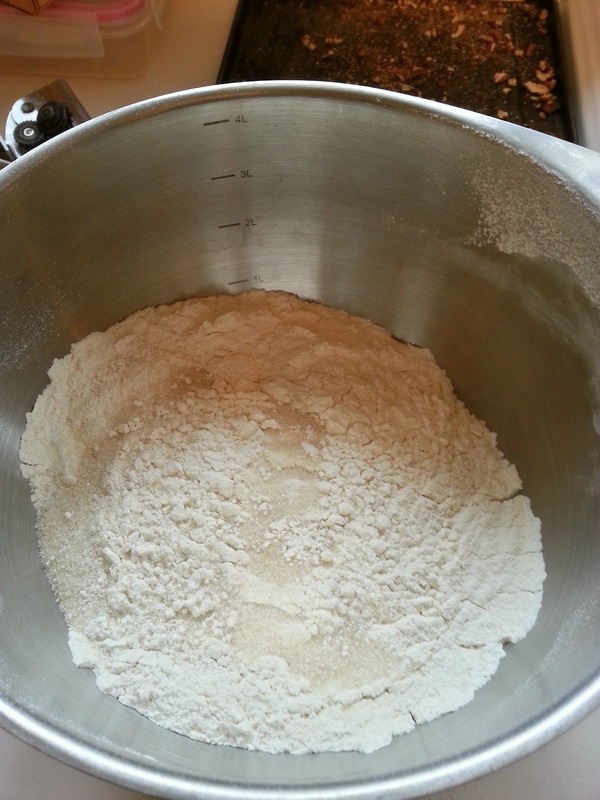 Combine the flour, baking powder, salt together in a medium bowl. 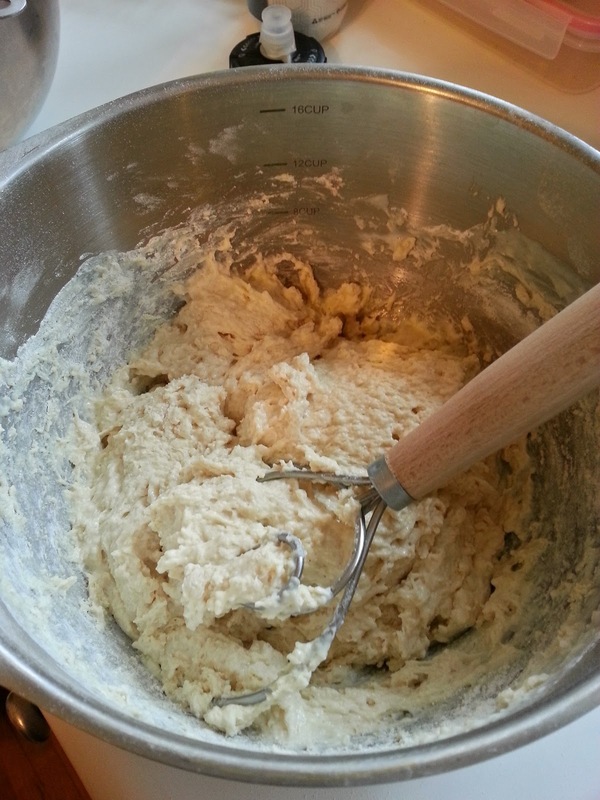 Give it a few whisks to mix it all up and set it aside. Drain the liquid from the can into the bowl of a stand mixer. Add the 1/2 tsp vinegar, and turn it on. 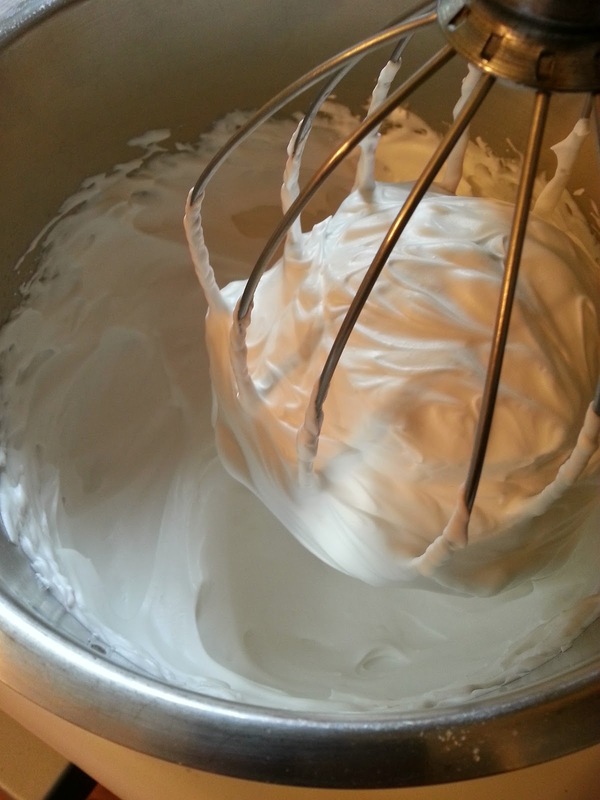 Let it mix on medium at first, until it stops splattering and a white foam forms, then on high speed until nice and firm and glossy. You should be able to hold the bowl above your head, upside-down. 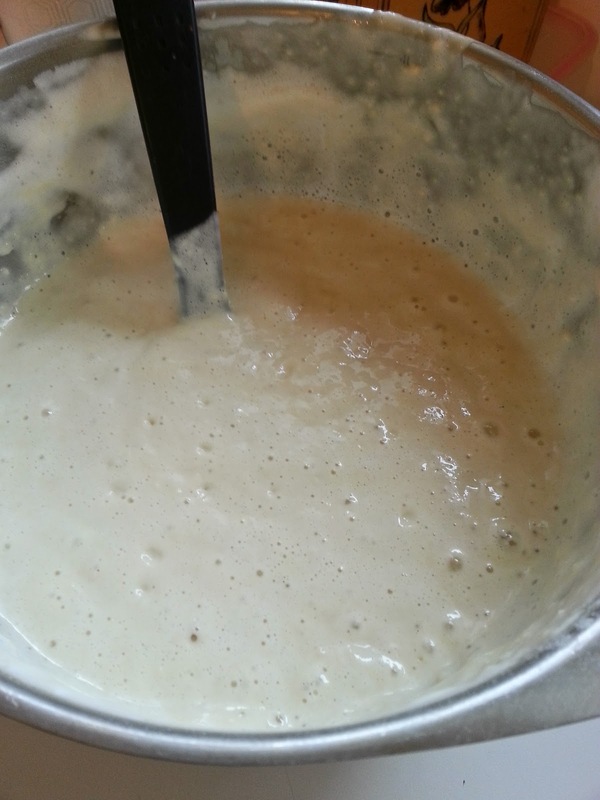 One your foam is strong, pour in the 1/4 cup of sugar, and mix a few minutes until no longer gritty. At this point, the foam is secure enough to take on flavorings and lipids. Slowly pour in the oil over the course of about a minute while the mixer is still on high speed. It should incorporate fully, with absolutely no deflation of the foam. Once it's in, let it go another 30 seconds. First, pour the soy milk and vinegar that you set aside in step 1 into the dry ingredients and mix until just incorporated. It will be very thick. Do not worry, the foam will still fold in nicely. Pour it in and cook. 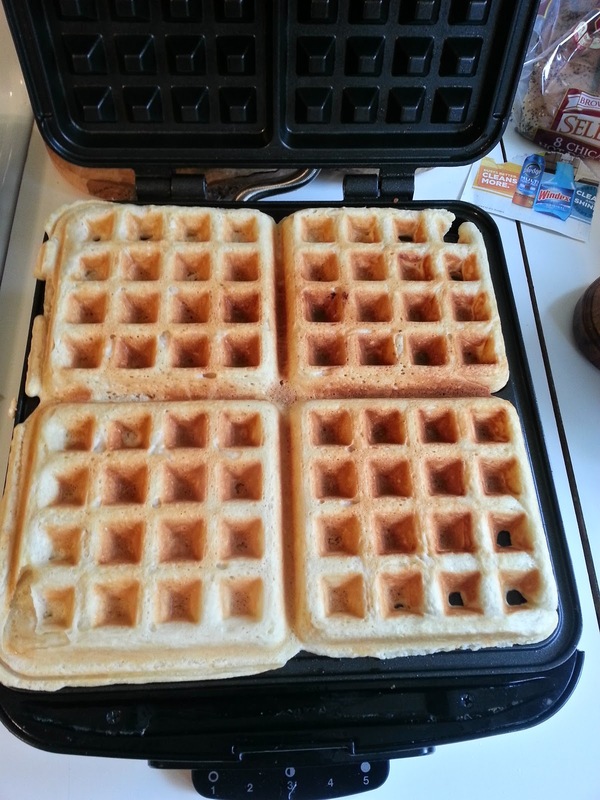 I use a setting of 3.5 on our waffle iron. Each one is different, so you'll have to figure out what works best for you. When they immediately come off the iron, they aren't crispy, but about 30 seconds later, they snap apart and are crunchy like waffles should be. Does this really work without any oil or fat in them? Hi Goose, I have a question, aquafaba from natural garbanzo cooked beans worked the same than canned ones? Have you tried that? 1) The water used to soak the beans for close to 12 hours - probably closer to 18 hours. 2) The water used in boiling the beans. (I'm hoping for this one as it's likely to have a bigger yield). 3) Doing a combination of the two - using the water from soaking in the boiling. I'm guessing that the effect comes about due to (shorter than gluten) protein chains in much the same way that gluten forms protein chains, then the limiting factor would be how much of that protein the chickpeas release during soaking compared to boiling. Given that you'd have to add more water for boiling, if the boiling water doesn't work, then the 3rd method is pointless too. Whereas if both the 1st and 2nd methods work, then the 3rd method might yield higher concentrations of that protein (if my guess is right). If this works... I'm rather looking forward to having a go at using it as a "fluffing" agent. I'm not vegan myself (I enjoy developing limited diet recipes. It's an interesting challenge) and often use egg whites in things like fritters to add a bit of fluffiness to them. The ultimate test here for me would be using it with melted chocolate - if it can handle that, then a genuinely chocolate mousse with the right texture - fluffy and rich - shouldn't be too much of a problem (The Cocoa, avocado and honey combination that was recommended to me left me frustrated. No fluffiness to it). I've been 100% successful using the juice from the chickpeas I have cooked in my pressure cooker after soaking and rinsing. Mindblowing! 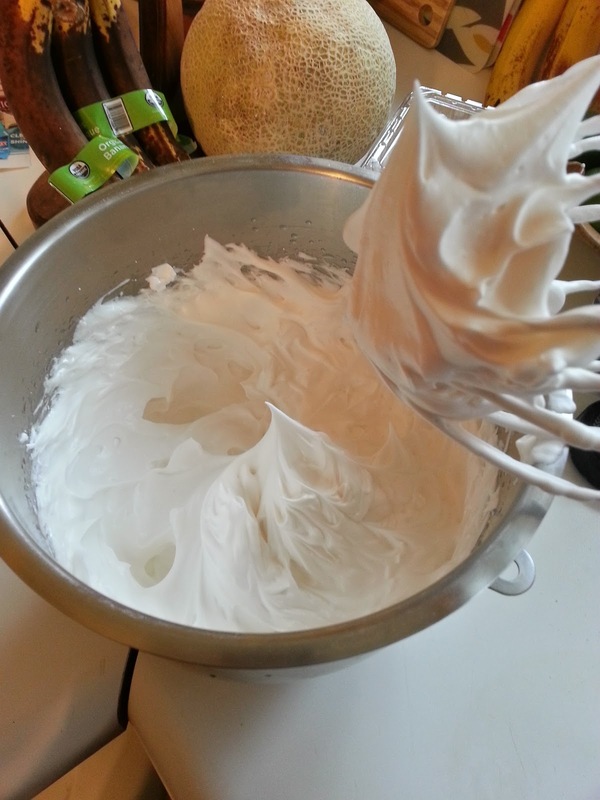 I love aquafaba! I just made these. They are amazing! Thanks for sharing. These were delicious! 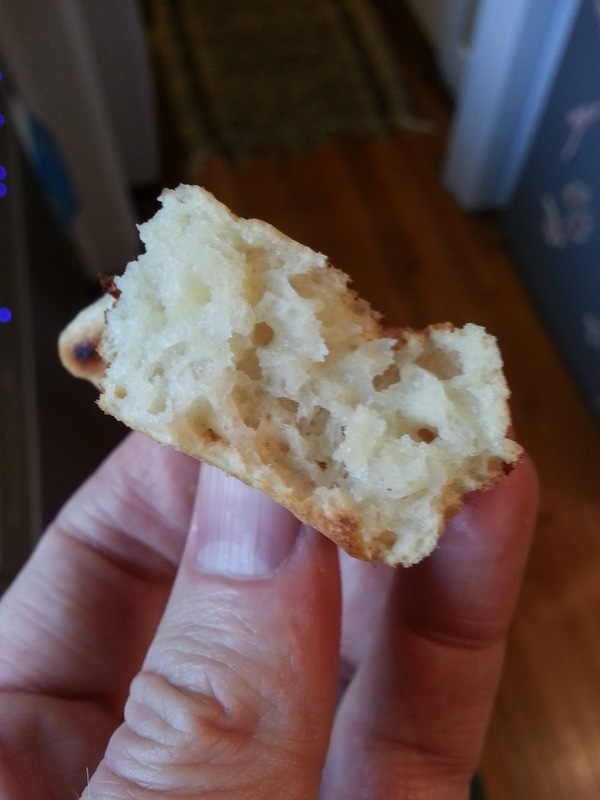 Light and fluffy on the inside, crispy on the outside (I always cook mine on hi till they are extra crispy). 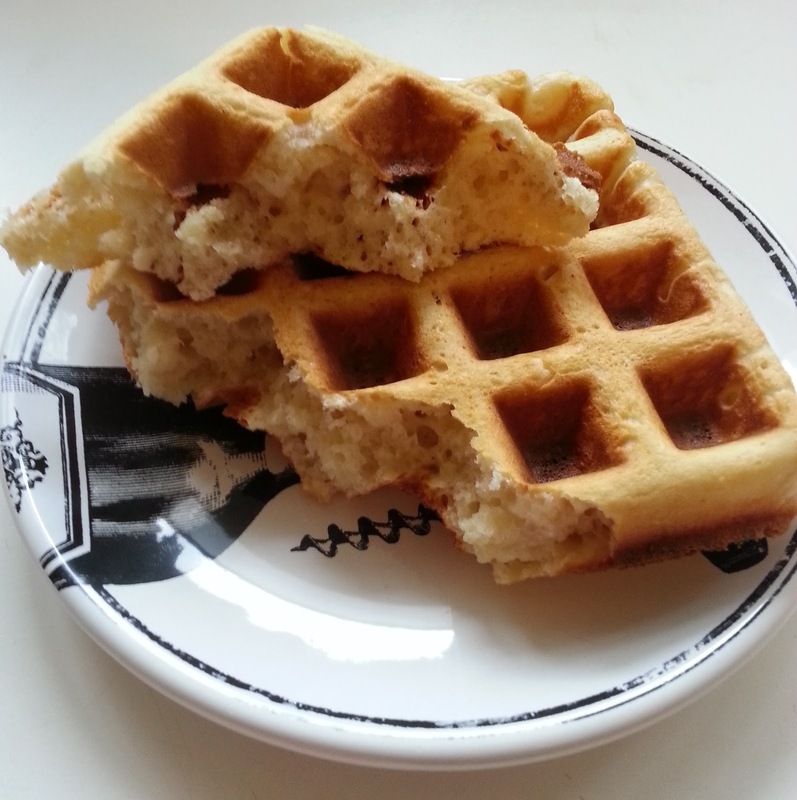 The waffle batter didn't expand much, so make sure you fill waffle maker full. I am hoping batter is ok in fridge until tomorrow morning! And where are the beans?